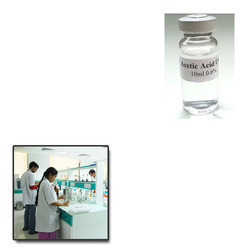 Our range of products include acetic acid for pharma industry and formaldehyde. We are the Manufacturer supplier of an extensive variety of Acetic Acid. These items are utilized as a part of assembling of medications and medication intermediates. Our items are tried on a few procurements of value to dispatch an immaculate reach. Clients can profit these items from us in different bundling choices in various amounts. We have been affianced to introduce an excellent grade array ofFormaldehyde Chemical. Our produced salt has received appreciation for delivering quality salt to the clients. This salt processed using two or three compounds. The offered salt compounds are clinically tested and approved under industry norms. In order to processed quality salt, we formulated by utilizing premium quality compounds and sophisticated technology under the guidance of our skilled pharmacists. Apart from this, clients can get the salt in abundance at industry leading prices. 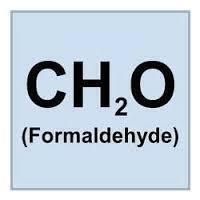 Formaldehyde is a naturally-occurring organic compound with the formula CH2O. It is the simplest aldehyde and is also known by its systematic name methanal. Formaldehyde is colorless and has a characteristic pungent, irritating odor. It is an important precursor to many other materials and chemical compounds. Commercial solutions of formaldehyde in water, commonly called formol or formalin, were formerly used as disinfectants and for preservation of biological specimens. Products generated from formaldehyde include urea formaldehyde resin, melamine resin, phenol formaldehyde resin, polyoxymethylene plastics, and methylene diphenyl diisocyanate.The textile industry uses formaldehyde-based resins as finishers to make fabrics crease-resistant. An aqueous solution of formaldehyde can be useful as a disinfectant as it kills most bacteria and fungi (including their spores). Looking for Acetic Acid for Pharma Industry ?